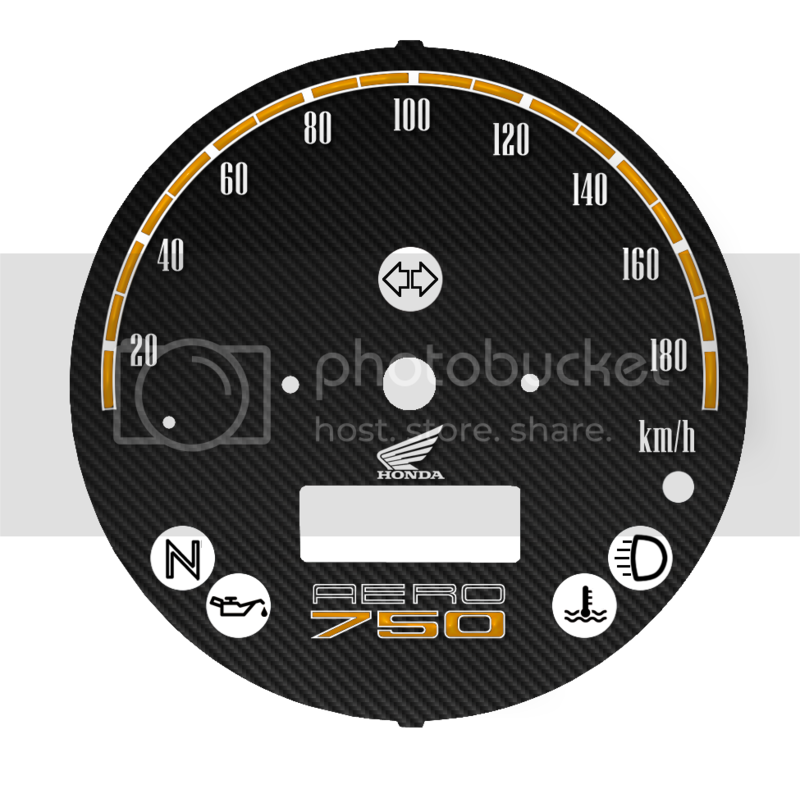 Found this site re custom made speedo faceplates and have included the webpage for your perusal. I have been in contact with Joe at Webslinger and include a draft image of Bluewolf with Moon etc ie along the theme of our club image/symbolism and what I was looking for Joe got back to me and I like the design and the draft image This draft is in response to sending Joe a photo of my VT Shadow C2 2009 faceplate. I then had a number of clarification questions (Refer yellow dialogue boxes) that I have never got complete clear answer on. Joe seems to be like the "Soup Nazi" on Seinfeld ie great talent and product but lacks freindly customer service communication skills. As a result I have put this on hold. Any way thought you might like to check it out as the product and talent behind it look great. Jenny32's email re greater communication was my trigger in sending this post etc. As I also enjoy checking for new posts, communications etc. Happy riding and forum surfing. Hi GS, I have actually used webslingers services and had a couple of faces made. Like you I found the appropriate holes were missing so I modified the template to fit. The holes all measure up perfectly now. So if you want you can use my version as a template and design your own on that. my genuine facr plate bubbles around the left screw and I've been thinking of replacing it. keen to see if the lone wolf one gets legs. Thank you for sharing greyshadow, i would never have known such a product existed, i would be very interested to see the final product. 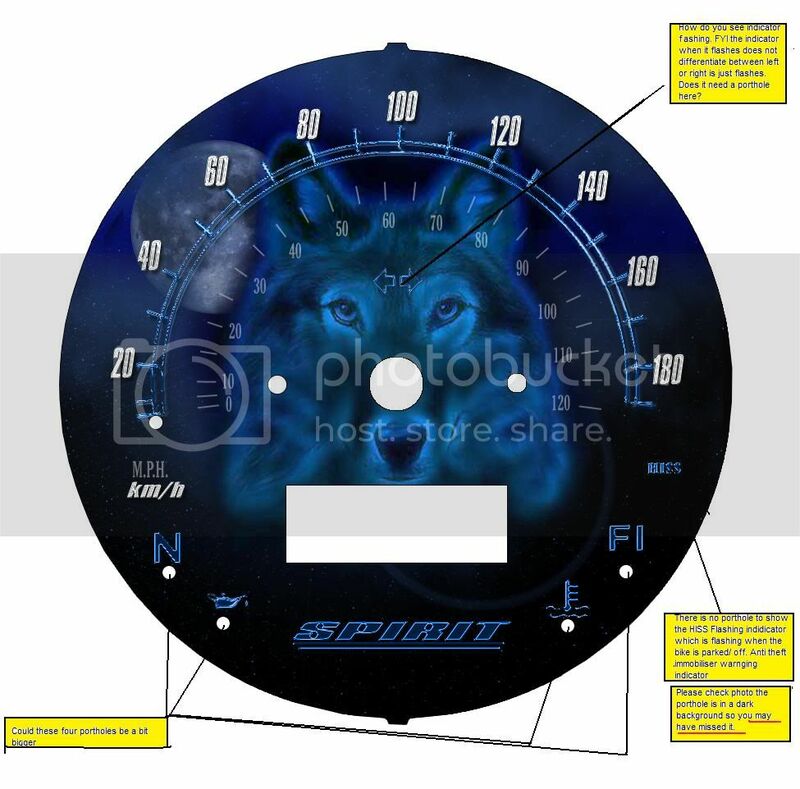 I have a picture of a wolf/dream catcher design that i love and would like put on my tank, my partner says no to air-brushing, so i have emailed the picture and details to some decal sticker makers and have so far had no replies, maybe something like this may be an option. This is the picture, if anyone can recommend to me someone that can turn this into a graphic decal sticker, suitable to go on a motorbike tank, please let me know. 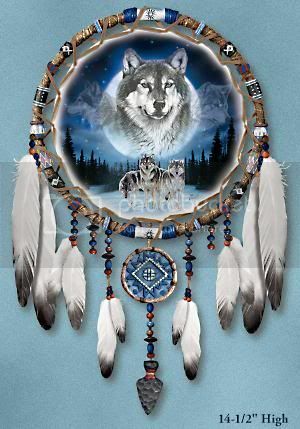 It doesn't have to have the full detail inside the dream catcher, just the main wolfs head would be fine. Failing that maybe i could get just the all the Wolf detail insde the dream catcher placed on the speedo face...just an idea!!! Well that would look smick. Clarry has had a thread on the speedo subject before so yo ucould trace that down for more info. Like yours there Greyshadow .Lovely image must say. Hi greyshadow anything become of the speedo face plates they look great. No mate haven't pursued it further at present, have put it on hold for the time being, when I get it fitted I'll shoot you a post with the details. cheers for that mark would be really interested one. I'll join the list of folks interested in the wolf design faceplate ... Maybe there'll be enough of us to do a bulk order and get the price down not that I have any idea what the price would be anyways ..just thinking out loud there . So if you want you can use my version as a template and design your own on that. 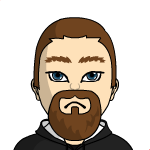 Clarry - what application did you use to design the template? Photoshop CS3, Ill send you the .psd file if you like. It's a fairly big file so I saved it into my dropbox account. You can download it from there. When you have modified it to suit yourself, save it as a .png file before sending it to webslinger. The holes are clear to allow the lights to shine through, except for the oil, temp, etc, icons and the png file makes this possible. A jpeg file would save the holes as a white colour. I want one of the carbon fibre look very pimp.